As a field assistant, I'm working on the recently launched Grassland Restoration Project. With different methods, we restore plant species poor grasslands in the Swiss lowland and we investigate the effects on plants and invertebrates. See here for more details on the project. Species-rich Nardus grasslands are high nature value habitats and under conservation concern in Switzerland. Despite the current protection measurements, the Bernese authorities noted a dichotomous degradation trend: either Nardus grasslands were dominated by Nardus stricta or eutrophic plants, both leading to a disappearance of typical Nardus grassland species. We investigated the underlying causes of this degradation process by assessing vegetation composition in 48 Nardus grasslands in the Swiss Northern Prealps and linking it to soil, management and environmental variables. To explore the effect of the degradation on higher trophic levels, we assessed orthopteran species richness visually and acoustically as well as the orthopteran density with a biocenometer. My Bsc thesis focused on the impact of land-use intensification on plant diversity in subalpine and montane meadows in Valais, Switzerland. See here for more details on the project. Field assistant at the Division Conservation Biology, Institute of Ecology and Evolution, University of Bern. Working on the Grassland restoration project. 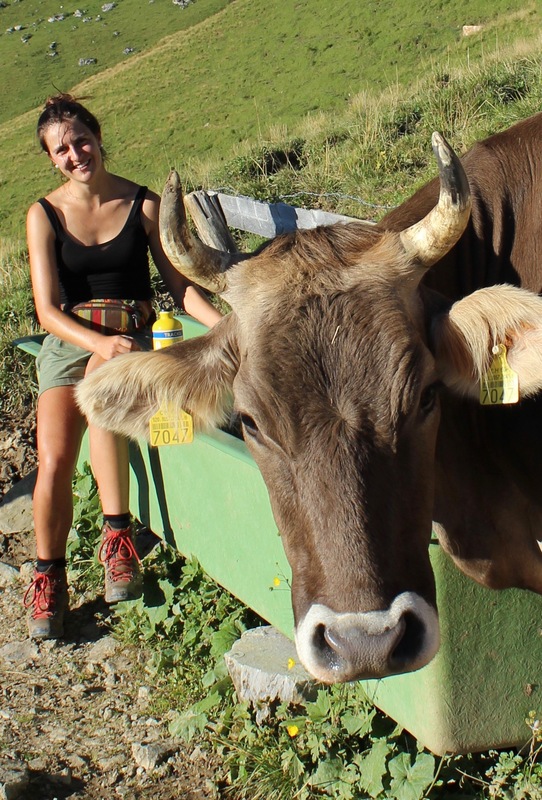 Master of Science in Ecology and Evolution, with special qualification in Animal Ecology and Conservation, University of Bern. Master thesis: "Importance of Nardion grassland quality for orthopterans: a case study in the Swiss northern Prealps"
Bachelor of Science in Biology, Plant Science, University of Bern. Bachelor thesis: "Grassland management: Designing tomorrow’s farmland for plant biodiversity"